This print is said to depict Indians responding to a lunar eclipse. 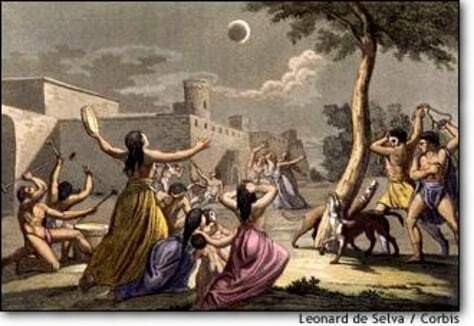 In 1504, Christopher Columbus predicted a lunar eclipse to impress the natives in Jamaica. Click on the image for more on the Columbus story.